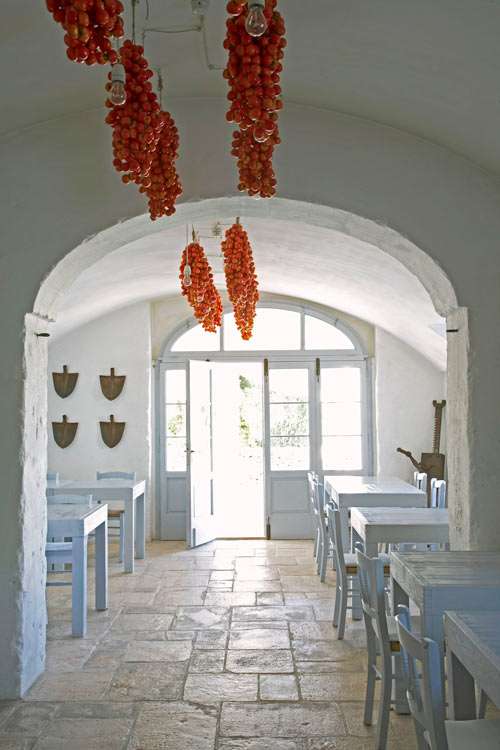 On Design*Sponge I found this gorgeous book: Masseria: The Italian Farmhouses of Puglia. 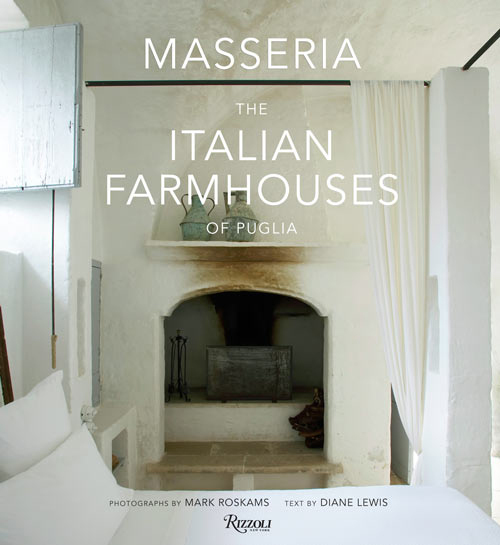 The book contains stunning photographs and essays dedicated to the ancient domestic buildings of Puglia, Italy. These ancient buildings once served as farmhouses and way stations for those traveling along the Via Appia. 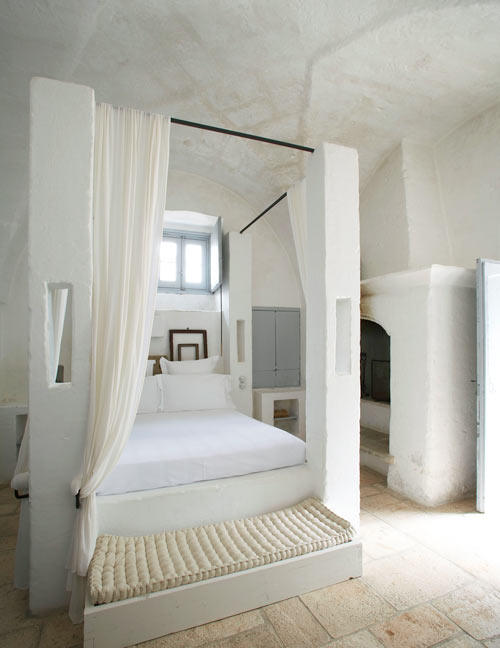 They now have been renovated to function as private residences or boutique hotels. The book is a feast for every interior lover especially for those loving this rustic style. Ohh, I love the bed in that first picture! 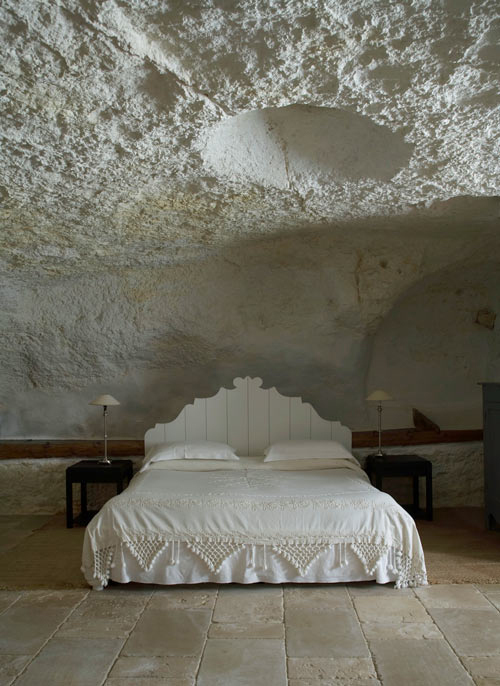 Wish I had a summer house in Italy now..
me too, the room looks like a cave, nice! The ceiling in the first photo reminds of a bowl of flour, into which someone is about to put an egg yoke. I am currently gut renovating an over 300-year-old Swiss chalet with my husband, and your blog is providing me with a never-ending wealth of inspiration. Your taste mirrors mine very closely. Thank you! Oh my goodness…the floors! Gorgeous!